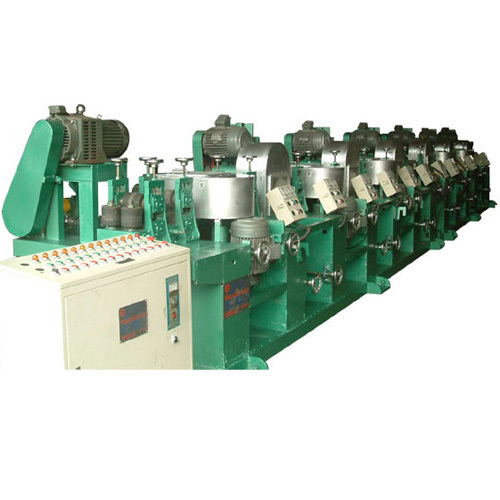 WITH 8 STAGES 2 FACES IN ONE OPERATION YEE TSONG rectangular pipe polishing machine is easy to operate, and will produce a high quality square pipe with high glass to attain perfection. For your product's quality, we keep on researching and designing to improve quality. Thus we design and present this machine with high speed, high output to save your cost. 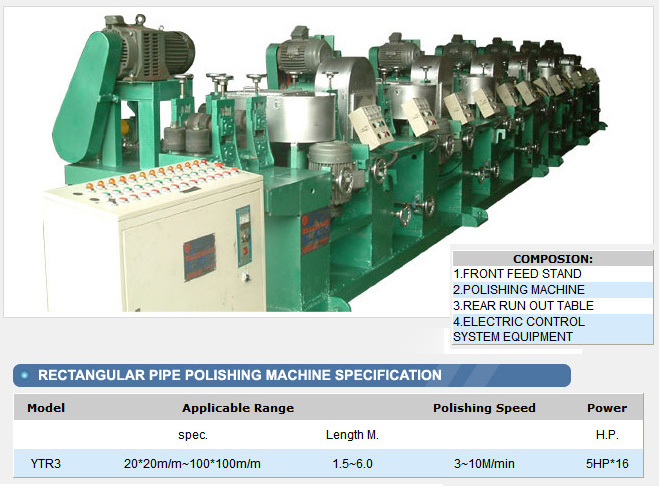 Rectangular pipe polishing machine 8 stages is used mainly for polishing square & rectangular steel pipe.